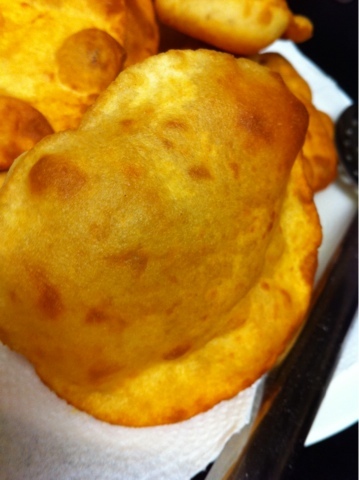 Bathura or batura is easy and yummy instant breakfast that u can prepare in minutes. 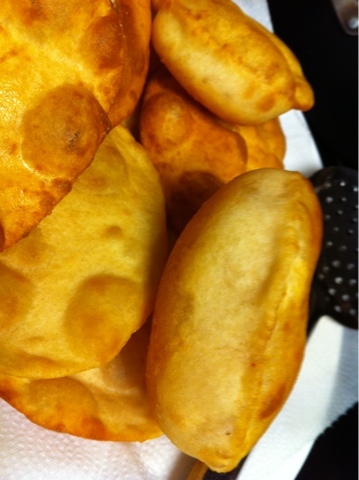 It is almost similar to poori but tastes very different from it. 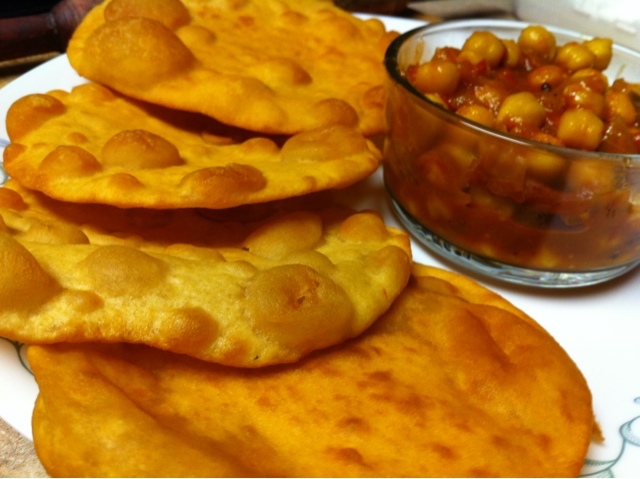 Yesterday I made it and we enjoyed it with chole masala. We love it and want to make it again and again. Take flour in large mixing bowel and add souji, salt, sugar, baking powder and mix well. Now add curd/ yoghurt and mix well. Finally add milk/ water for mixing it into a soft dough like poori dough. Finally apply oil on top of the dough and rest it for an hour or more. 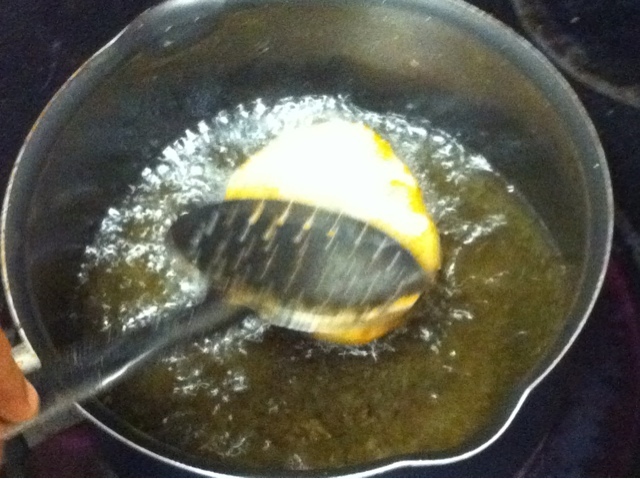 Now divide the Dough in to equal parts of lemon size and roll them like poori and deep fry them in oil. They will puff up. 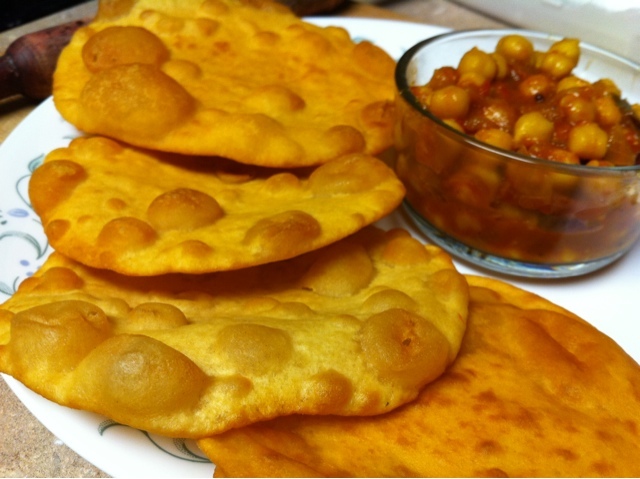 Serve them hit with chole masala or potato curry. I love it with Palak panner too! 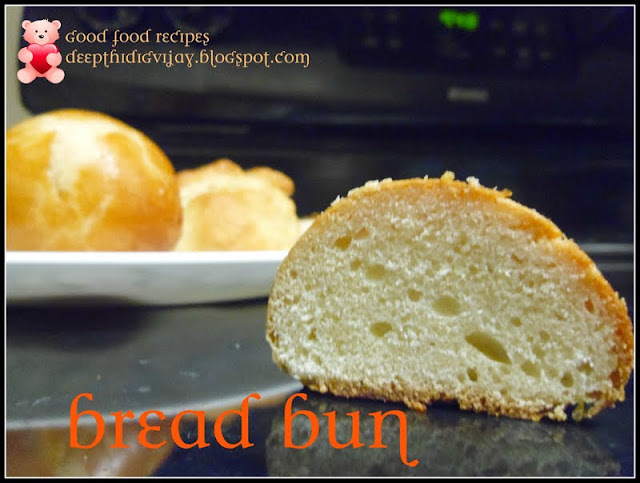 Hope you like my recipe please book mark my blog to view more and visit again in future. So inviting DD. Yumm ..
DD - Please add my Halloween Fiesta event to the calendar dear. @vardhini you can find abt the event announcement in my FBN-food blog news..thnQ for letting me know abt the event, will send my entries soon!